When you want a PowerShell command to search sub-directories -Recurse is a life saver. In other contexts this concept is called iteration, or sub-directory recursion. The cmdlet which benefits most from the -Recurse parameter is Get-Childitem. Stage 1 Problem: The script lists files only in the top level directory. 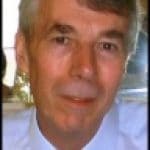 Note 1: Get-Childitem is the equivalent of dir. 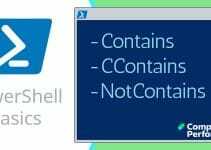 In fact PowerShell creates an alias called dir, thus this old command still works on the command line. Stage 2 Solution: -Recurse drills down and finds lots more files. Note 2: The key to -Recurse is the position, it has to be directly after the directory. In this example I have explicitly used -path to define the location. Stage 3a Precise Solution: -Recurse with a filter and wildcard* on the directory name. Note 3: I wanted to highlight the path be assigning it to a variable, and thus make it easier for you to change the path to suit your task. I only include this example to explain how difficult it can be to decide where to place -Recurse. When you study that long middle line you can see how it’s possible to group the output and select a custom Format-Table (ft). Note 4: You can improve this script by adding -ErrorAction to skip the error message on protected or in use executables. See how to add -ErrorAction SilentlyContinue if you get problems. C: \Windows\ -Recurse. My point is, I was caught out by trying C: \Windows\*.dll -Recurse. Note 5: The answer was only about 17. This script lists .exe files only in the actual Windows folder. -Recurse is useless here. Write-Host "Waiting for -Recurse ..."
Note 6: Expected answer over 2,000. -Recurse does its job. ‘Where-Object’ plays its role in filtering. Alternatively, you could employ the -Include parameter. While -Recurse works nicely for the above Get-Childitem, I emphasise CHILDitem. I could neither get it to work with Get-Item, nor could I see -Recurse amongst the parameters for plain Get-Item. The mission is to list all files containing the word ‘Microsoft’ in the Windows folder or its sub-folders. For this we use the select-string pattern matching command. The problem is that this script does not work. All that happens is that we get an error: Cannot find path… Path does not exist. Note 8: -Include only works when you also append the -Recurse parameter. Note 9: -Include applies to the filename and extension. Where I made a mistake was thinking that -Include would apply to the path. There is no reason why you cannot simplify the above example by removing at least two of the variables, especially on a production script. The only reason that I employed $Path and $StringText is that when I am creating a script I like to isolate and control each step of the way. 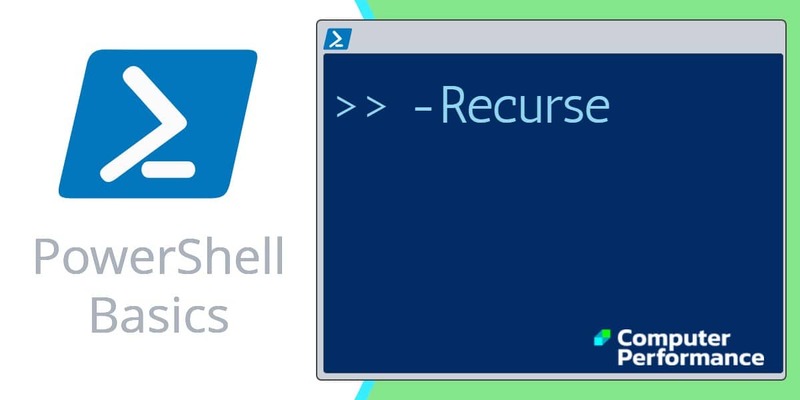 -Recurse is a classic switch, which instructs PowerShell commands such as Get-ChildItem to repeat in sub directories. Once you remember that -Recurse comes directly after the directory, then it will serve you well in scripts that need to drill down to find information.